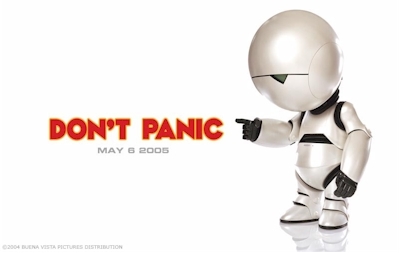 The Official Hitchhikers Guide to the Galaxy web site has introduced a download section. Here you can choose a great desktop tesaer poster featuring Marvin (my character from the film). This is also one of the first officially released photos of the character.